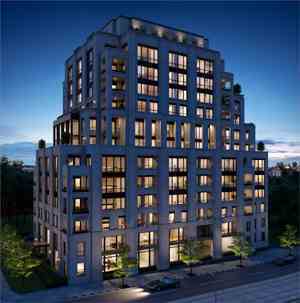 The Code Condos is a new condo project by BLVD Developments and Lifetime Developments and is currently in pre construction. 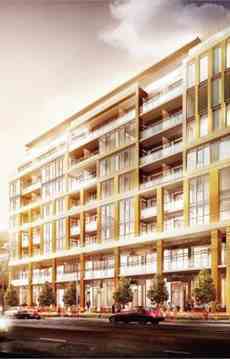 The Code Condos will be located at 6 Parkwood Avenue in Toronto. The Code Condos Toronto will be 9 Storey Boutique Building with a total of 108 mix cunits of one bedroom, one bedroom plus den, two bedrooms, and two bedrooms plus den. and 10 Twonhomes. The Code Condos Amenities will include a lounge, fitness studio, terrace and a pet grooming station. 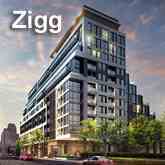 Located in the Casa Loma neighborhood in Toronto and 1 minute walk from the 512 St Clair at the St Clair Ave West at Russell Hull dr west side stop, Steps to LRT & Subway, minutes to best shopping, great schools, mature park & unobstructed city view and exclusive forest hill neighbourhood. Unit Size: 430 sq. ft. to 1699 sq. ft.
BLVD Developments is manifestly among the most celebrated professional condominium builders around the Toronto Metro region, erecting monumental residential buildings founded on tempting floorplans, high-tech artistry, and the most advanced engineering available anywhere in Canada. The unsurpassed towers enacted by BLVD Developments incorporate Victory Condos on King located at 478 King Street West and the Liberty Market Lofts and 17 foot Ceiling Condominiums situated at East Liberty St. and Hanna Ave. in downtown Toronto. The Victory Condos boast movie screening room, party room with full kitchen facilities, and extensive workout equipment. The exclusive building's units range to over two million dollars and feature fully natural exposed concrete ceilings throughout most of the units, and solid hardwood flooring in the principal living areas. The 290 units at Liberty Market mark a spectacular and thoroughly affordable building in conjunction with Lifetime Developments.